It’s sunny today. Yesterday was dull and wet and windy. Mummy still went out in her golfing uniform. I think she has a special coat for golfing in rain. I have noticed that the sun has stopped shining on the end of my cage. This is very puzzling. When I was upstairs, the sun didn’t shine on my run until after Midge died. Then it started shining on the end of my run in the afternoons. Mummy moved my water-bottle so it didn’t get shined on. Then when I came downstairs, after Percy died, the sun shone on my waterbottle earlier in the day, but after it had checked out Biggles’s cage. 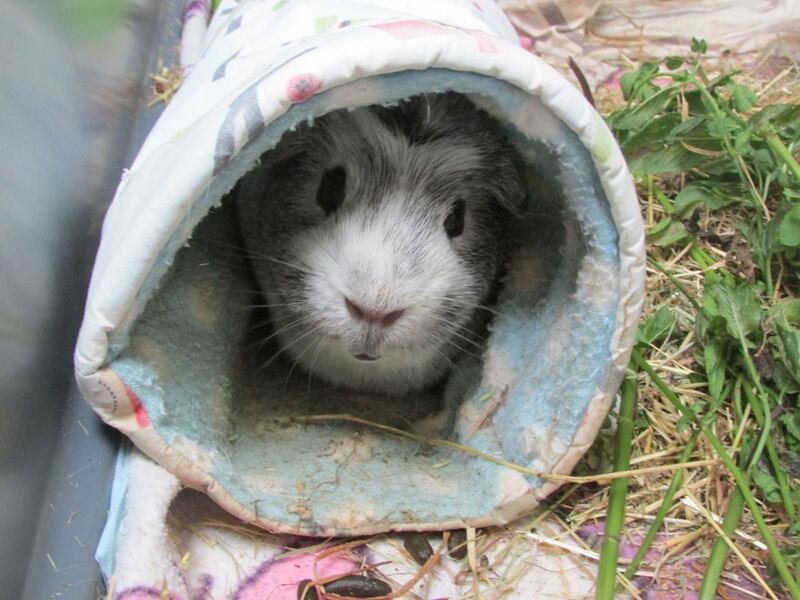 You could tell it was coming because it would stop shining on Biggles’s cage, (although Mummy had a cloth across the end of it so his waterbottle was in shade), and then it would come to mine. 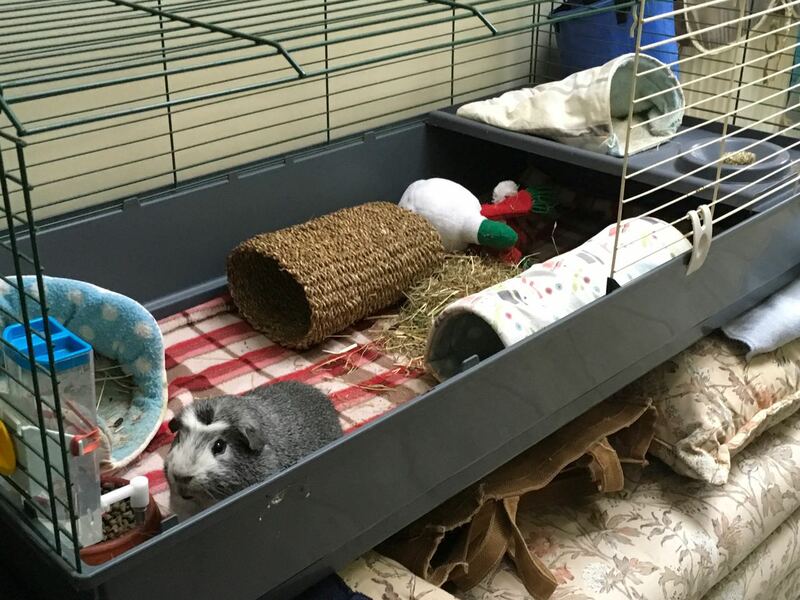 So Mummy put a cloth across the top of my cage too. It was strange, because then it tried to creep forward to get in the cage anyway. Then it gave up and started to move further back, and now it’s stopped shining in my cage at all, although it’s still looking in Biggles’ cage. But not for long. 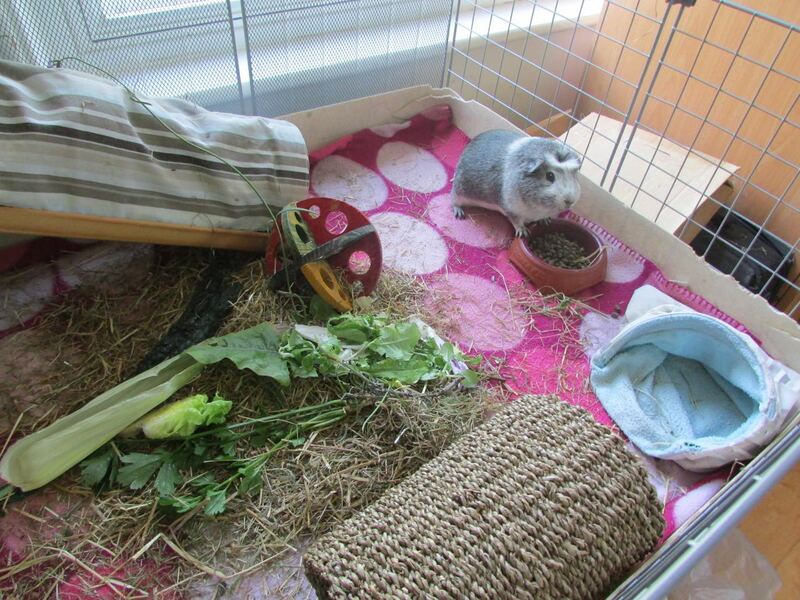 Mummy took the cloth off my cage today saying I didn’t need it any more, because it’s getting towards autumn. So I’ve been sitting in my tunnel, watching the sun move across the wall and puzzling it all out. It’s still a puzzle. I don’t think it’s anything to do with Midge or Percy, though. That was just coincidence. The sun’s still there when we go out in the garden. Mummy moves us around a lot, but we have small runs with lots of grass in them. Do we prefer large runs with no grass or small runs with lots of grass? Tough call. So many things to think about. I’d better have some hay while I chew it over. Your Mum is right. Mr. Cutie Pie. The sun is moving because it’s getting on fall. Not so much here where I am because we are much further south. It’s still pretty sunny and hot here. But I do love fall – cooler nights and lovely days. If I were you I’d go for the shorter run with lots of grass. Pig out on the grass because you won’t have it this winter. I’ve heard the humans make comments like that. They don’t make sense to me either. Whether you figure it out or not, enjoy your nibbles.